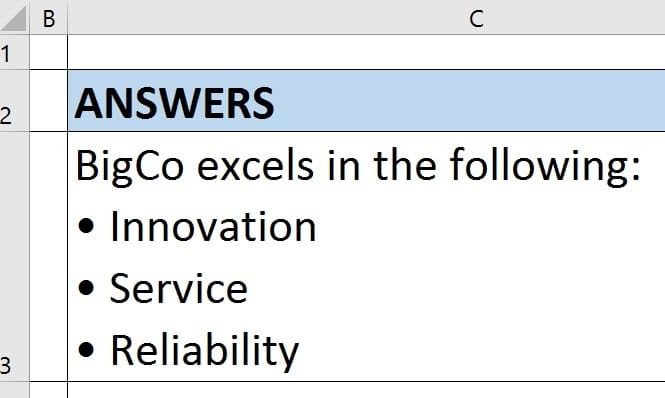 “How do I insert bullet lists into Excel?” This is one the most frequent Excel questions that we receive at Expedience. 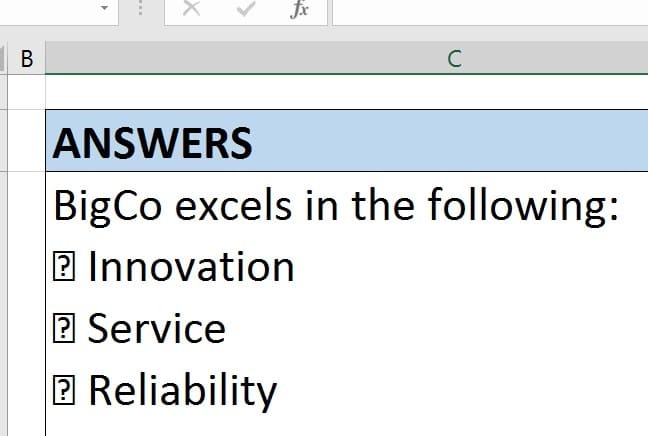 Unlike Microsoft Word, Excel does not provide a simple way to apply bullets to a list. 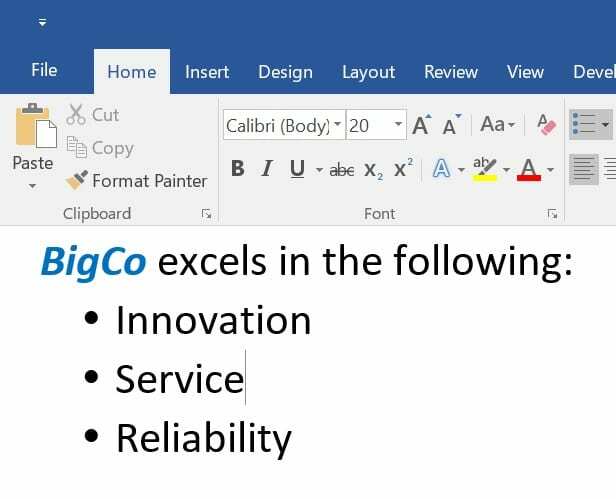 However, with a few simple tricks you can leverage Word’s bullet features to insert bullet lists into Excel. The bullet formatting is preserved, BUT the list continues over several rows. This is what happens when you paste content containing multiple lines onto a cell. 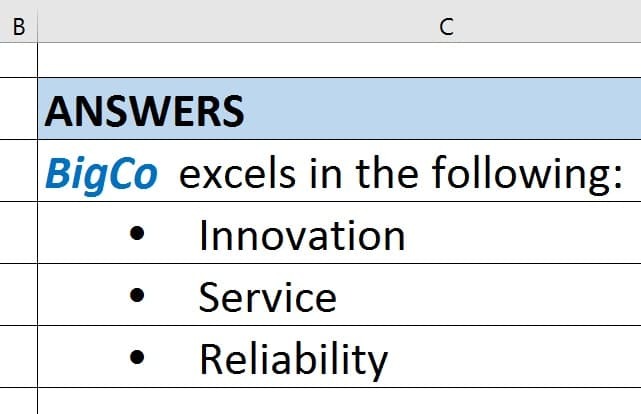 If you want to keep the list inside the same cell, you need to make sure that you are pasting ‘IN’ the cell, not on top of it. The list is contained inside the same cell, but the bullets have turned into peculiar question marks. What happened? 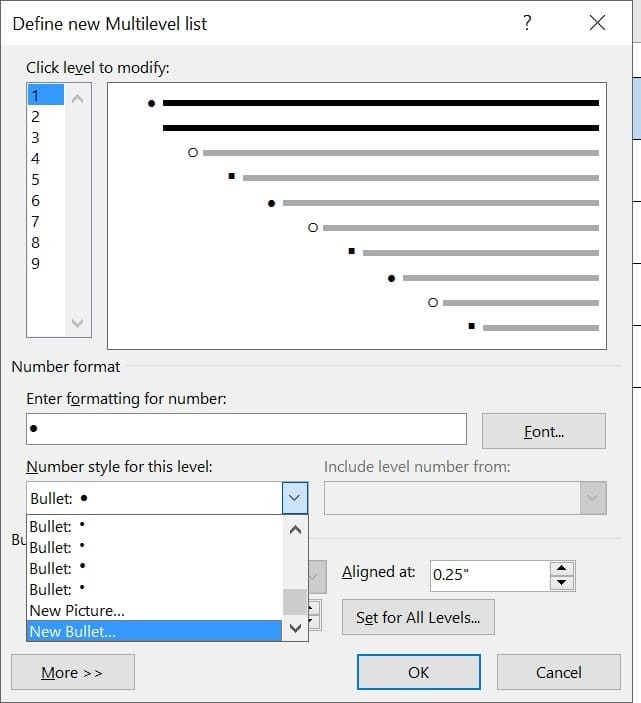 The bullet switch happens because when pasting inside a cell, the text takes on the font that was applied in Excel – this includes the font used for the bullets. 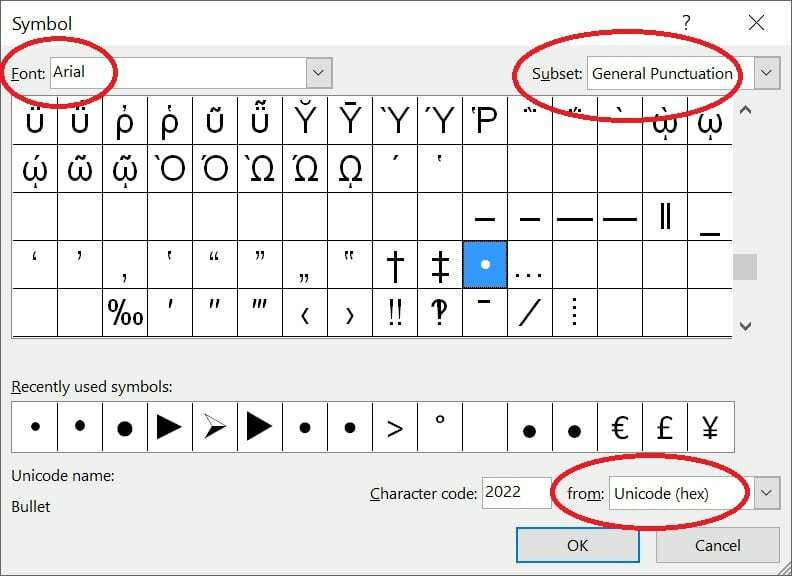 The most common font used to create bullets in Word is Wingdings. (Wingdings is so popular, there is also Wingdings 2 and Wingdings 3). Because Wingdings is not the font applied to the cell, the bullet is not recognized so it turns into an ‘unknown’ character – a question mark box.